Izzet began his investment banking career in 1999 as an equity research analyst at HSBC plc’s Turkey affiliate HSBC Securities. Izzet joined EFG Istanbul Securities, an independent advisory services firm focusing on M&A, in 2005. In 2015, he accepted the head of corporate finance department position in Oyak Securities, a member of Oyak Group, Turkey’s third largest group in asset size. Izzet joined Odin Financial Advisors in March 2017. 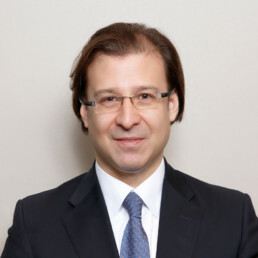 Izzet advised some of the Turkey’s most reputable and largest firms and international corporates in numerous M&A and capital markets transactions in various sectors, including healthcare, chemicals distribution, agriculture, construction materials, oil & gas, non-food retail, marine, and real estate. Izzet successfully played critical roles in both buy-side and sell-side advisory projects in private sector, privatizations, and cross-border transactions. He coordinated landmark transactions on sell side – such as privatization of Istanbul Cruise Port (aka Galataport) – and on buy side – such as acquisition of majority in Hakan Plastik by Georg Fischer. Deal values of M&A projects Izzet participated and successfully closed range from USD 10 million to more than USD 1 billion and sum up to an aggregate of more than USD 3.5 billion. Izzet holds a BA degree in Management from Bogazici University in Turkey. He holds Capital Markets Board Advanced Level Certificate.